The IDEFICS study started in September 2006 and ended in February 2012 after a prolongation of 6 months. The Bremen Institute for Prevention Research and Social Medicine at the University of Bremen, today the Leibniz Institute for Prevention Research and Epidemiology - BIPS, coordinated the study, which was funded by the European Commission under the 6th Framework Programme, grant No. 016181. 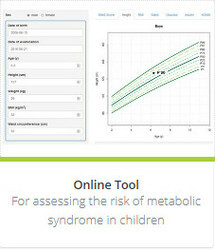 The study delivers reliable data to make an international assessment of the problem of obesity in children possible. The focus of the IDEFICS Study lies in exploring the risks for overweight and obesity in children as well as associated long-term consequences. Beyond pure research, IDEFICS offered activities for health promotion and prevention in kindergartens and schools. These prevention programmes were developed, implemented and evaluated within the IDEFICS Study. In this website you will find information about IDEFICS as research project, the involved partners and main results which are currently being incorporated into various guidelines on nutritional, behavioural and lifestyle as well as ethical aspects in all participating countries.